​Alvaro Morata has admitted that he made 'excuses' for his poor form last season, but claims that he is now 'very happy' with his life at Chelsea. 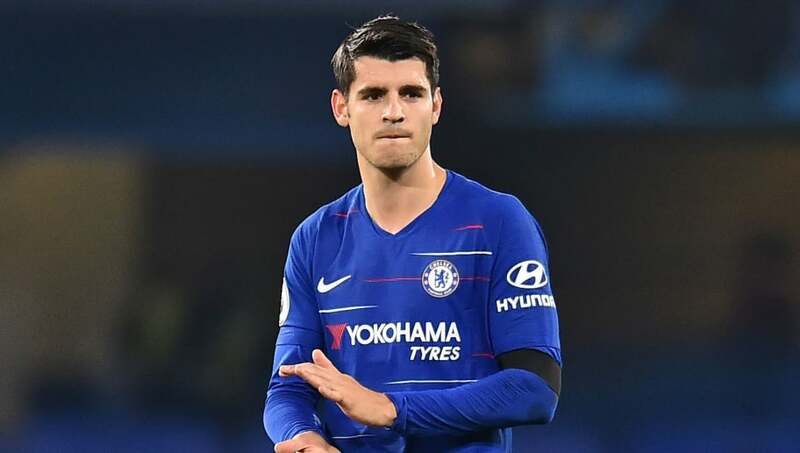 The Blues signed Morata from Real Madrid for £55m in 2017 and he made a great start at Stamford Bridge with six goals in his first six Premier League appearances, but the goals dried up after that and he only scored once in the league after the turn of the year. However, ​Morata seems to have found a new lease of life under Maurizio Sarri, scoring a brace against Crystal Palace on Sunday to take his season's tally to six. The Spaniard claims he is back to his best after a 'bad period'. "In football, physical condition is very important, but the head is the most important thing," Morata said, quoted by the ​Daily Mail. "If you don't have the head, if the mentality is not good, then you are in trouble. "I had a period where everything – if it is raining, I'm angry because it's raining. If I miss, it's because the pitch is too wet. It was only excuses. It is not good. "Everyone can have a bad period in their life, but we are famous, we have a lot of things. Sometimes people think we are not human, with no feelings, with no problems. "The important thing is to find the right balance. Now, I have, and I am very happy. I'm better. In the last month of last season, I was down, down, down, down. I cannot be more down. When you touch the limit, the only thing you can do is to come back." Sunday's win took ​Chelsea second in the Premier League, ahead of Liverpool on goal difference and just two points behind leaders Manchester City.